A cool TV/DVD for my craft desk! 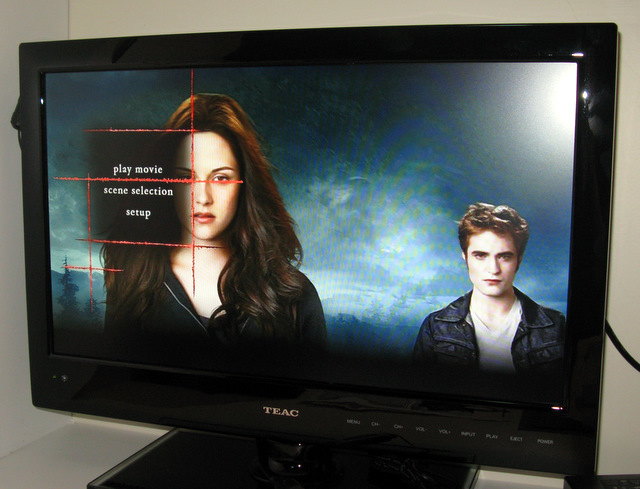 It's 18.5" LCD set that has an HD tuner, the DVD is on the side of the set and I can record shows on a USB flash drive. Very swanky! It's all of 2 inches deep! I'd mentioned (read "been complaining") to hubby about not having a TV in my craft space - I need to backtrack a little. The rental we were living in last year had a huge rumpus room that we used as my craft space and a playroom for our 3 year old, so it had a TV and DVD and of a night I used to have different shows on in the background. I just find the background noise helps to keep me distracted. But since we moved, every time I go to make something I have some silly song stuck in my head (like "The Wonky Donkey" - Olivia loves it... NOT good music for crafting!). SO. I'd been thinking about getting a portable DVD player, but hubby decided that perhaps I'd like to watch TV at times too. Bless him! He's difficult to make for too, because he really doesn't care for embellishments (for him, that is). I thought perhaps the ribbon would be too ruffly, but it passed the test. :-) Isn't that sentiment gorgeous? It's a Penny Black stamp that I bought especially to make this card. I just love that font! Shame you didn't get Edward and ended up with "second" prize - NOT!! You lucky thing you! 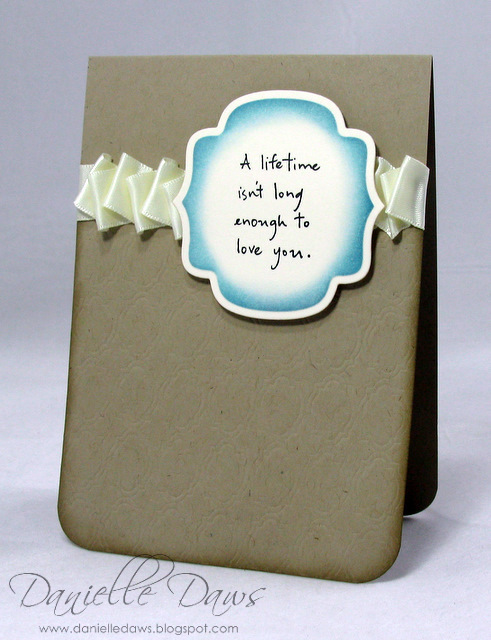 I LOVE that sentiment and the soft embossing ont he card. Brilliant DD! Now I was just telling my DH the other day I really need a TV in my craft room. LOL not sure I will be as lucky! Love that sentiment and your card. Happy (belated) anniversary! Nice to see Brian got you a birthday present at long last. 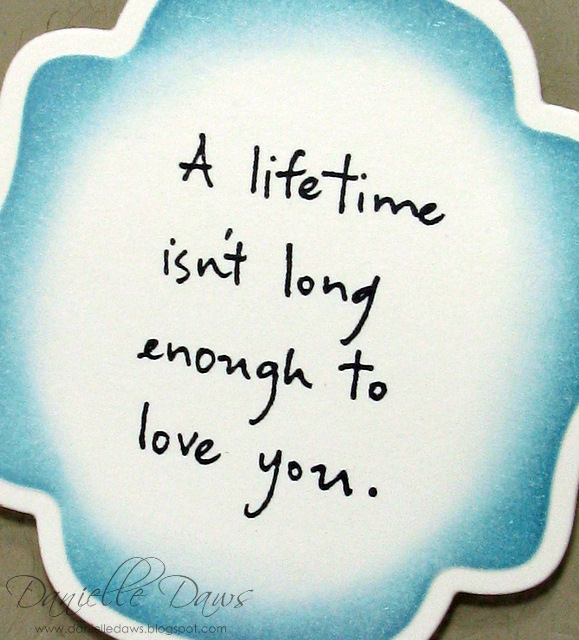 *winks at Danielle, nudges Brian in the ribs* And I love your card - so sweet. How do you do that sponging with the rim?? NO ONE WILL TELL ME! !